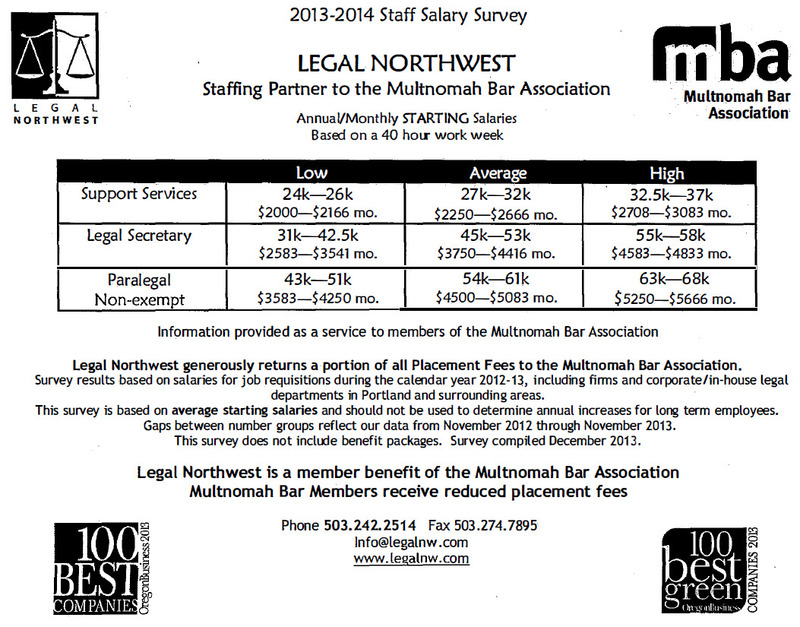 The survey is prepared annually by Legal Northwest, Staffing Partner to the Multnomah Bar since 1996. 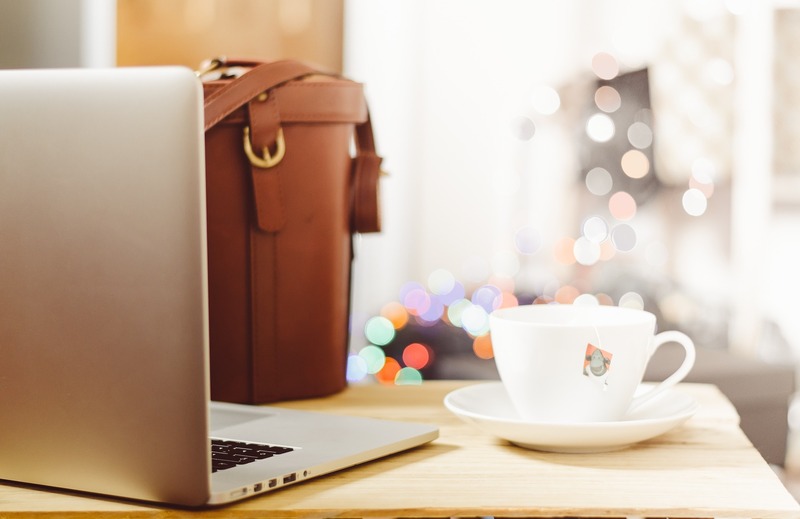 Legal Northwest recruits for paralegals and legal secretaries in all areas of the law as well as receptionists, file clerks and litigation support staff. MBA Members receive discounted pricing on direct hire positions and also receive a quality of service guarantee. In addition a 3% contribution is donated to support MBA activities. Finding quality support staff depends, in part, on paying a competitive wage. 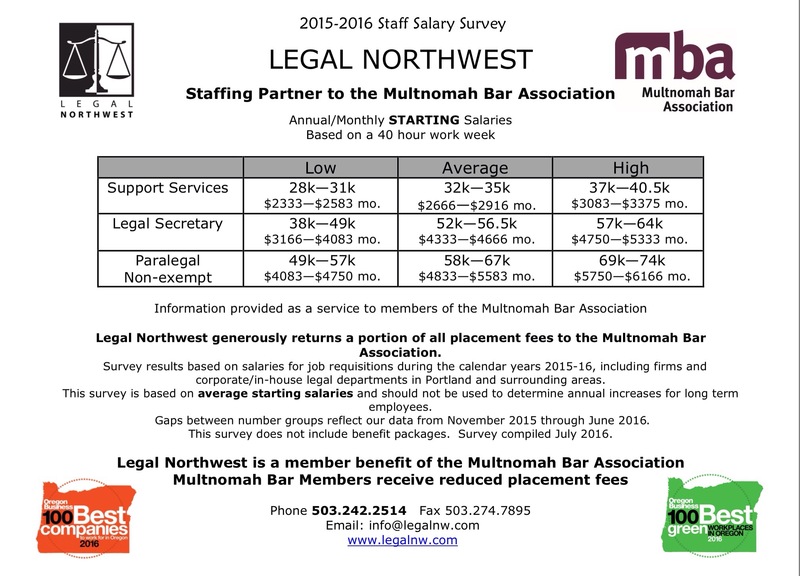 If you’re looking to hire in the greater Portland metropolitan area, check out how your proposed salary stacks up.